Sometimes the best inspiration for apartment kitchens can come from seeing how others have been successful at achieving the kitchen of their dreams. We’re certain this beautiful new apartment kitchen in Windsor will give you the inspiration you need to get your own creative juices flowing. Using our Kensington kitchen design, these residents have managed to get the most out of their apartment space and create something modern and simple in design. One of the more popular designs we have, Kensington it truly represents the quintessential Melbourne apartment, whether you have a new or old style within. The Kensington kitchen is a traditional shaker style kitchen, and it’s versatile enough to suit just about any home or décor. With white cupboards and a chance to use any handles you like, you can adapt the style to match your preferences and taste precisely, and it creates a space that looks larger than it is. This apartment has chosen to use slim handles and a gloss benchtop which gives it a more contemporary feel. The marbled look benchtop and tiled splashback and walls help to carry on the black, white, and grey look that is so popular in kitchens today. Because this is in an apartment, you do need to be careful about certain things when designing a kitchen in this space, and there are some things to look out for. If you’re looking to renovate your kitchen or build an entirely new one and you live in an apartment, there’s no need to feel restricted. Here are some common issues that these spaces have and how you can solve them. Seating areas – Without a lot of space for dining formal areas, you can use a breakfast bar with stools to eat meals in the kitchen. Windows – With windows usually taking up one whole wall it’s best to use this for your sink, and keep the cupboards and cabinets away. Drawers – Clever use of drawers around the kitchen gives you more storage space and prevents benchtops from becoming cluttered. One of the biggest problems that occur when designing an apartment kitchen is dealing with the lack of space. Even larger apartments tend to feel restricted in space, but there are a few things you can do to help. Light colours – White and other light colours will open up the small space and create brightness in the room by reflecting light. Mirrors – You might choose to use a mirrored splashback to create the illusion of more space in the kitchen. Low contrast colours – Try to stick to one colour scheme like black, white, and grey for the entire kitchen, as this will help it appear larger than it is. If you’re looking for inspiration or design ideas on how to achieve your dream kitchen, our team at Zesta Kitchens are here to help. 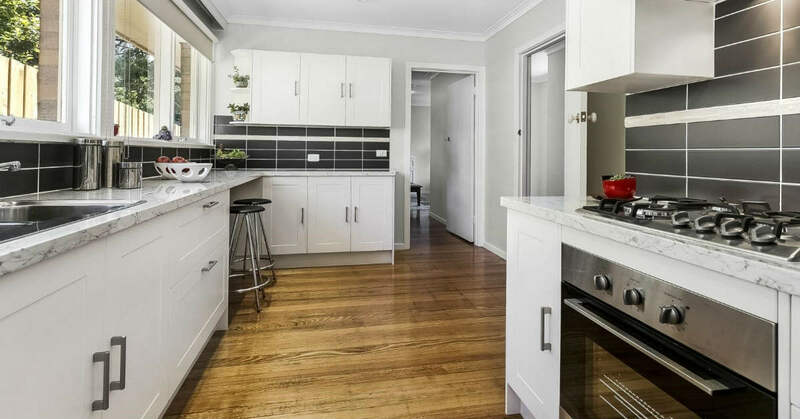 We welcome your call today on 1300 100 555, or if you know what finish you like and are ready for a kitchen makeover then book an appointment so together we can design a kitchen that is perfect for your space.